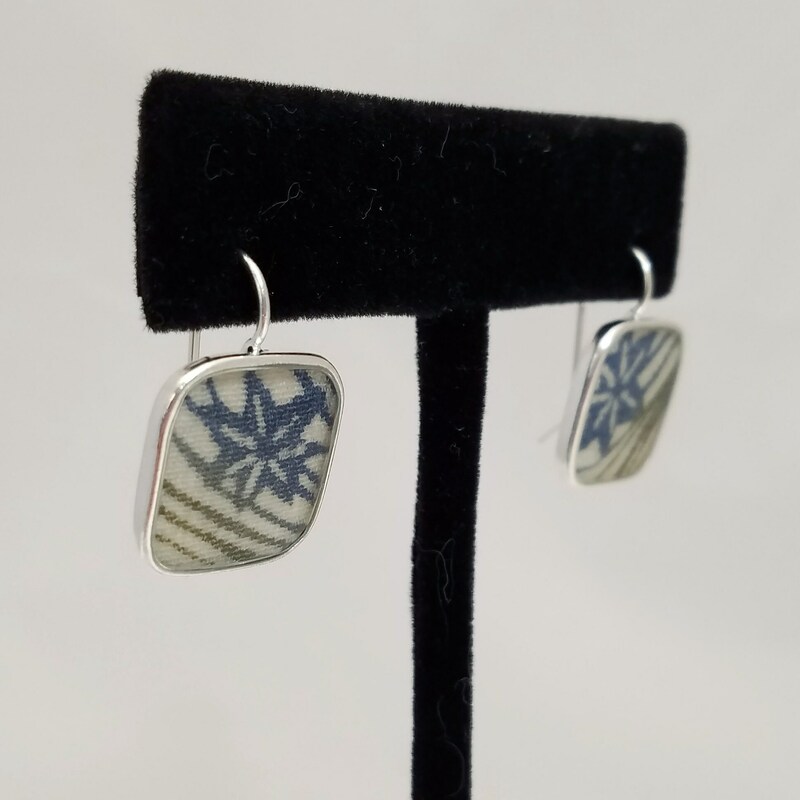 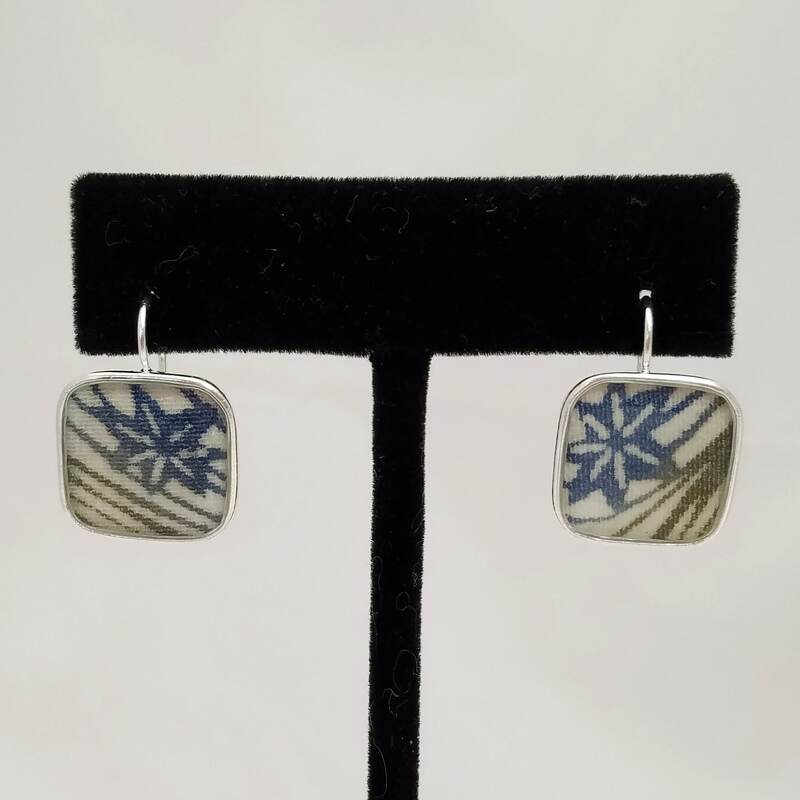 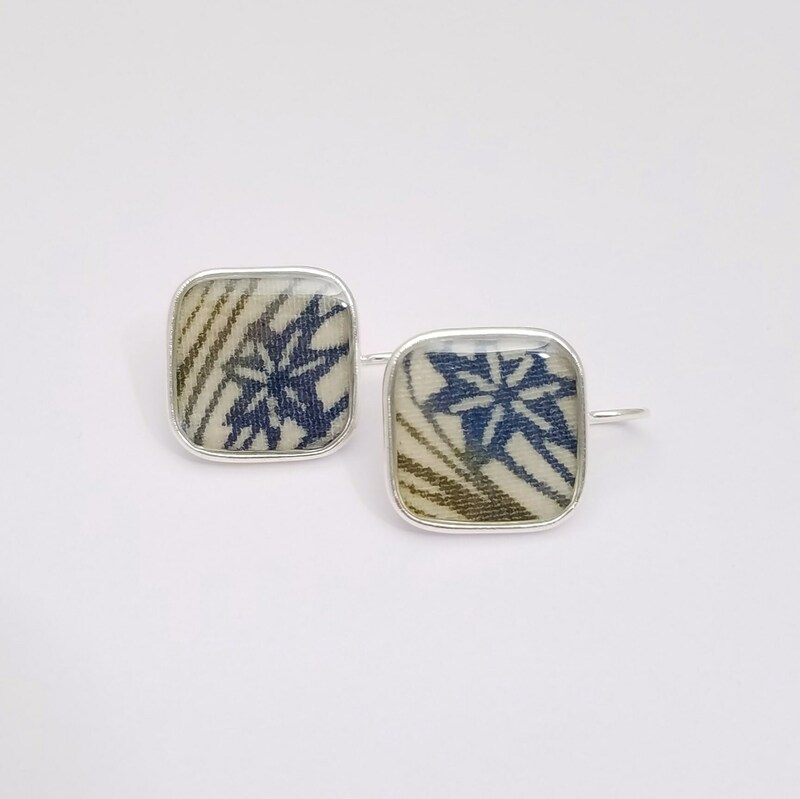 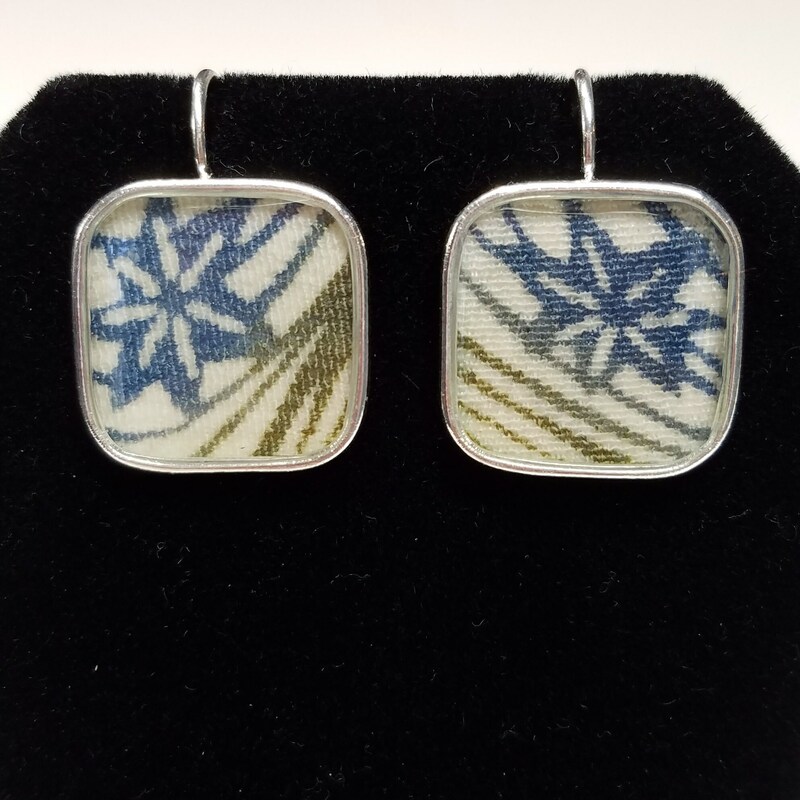 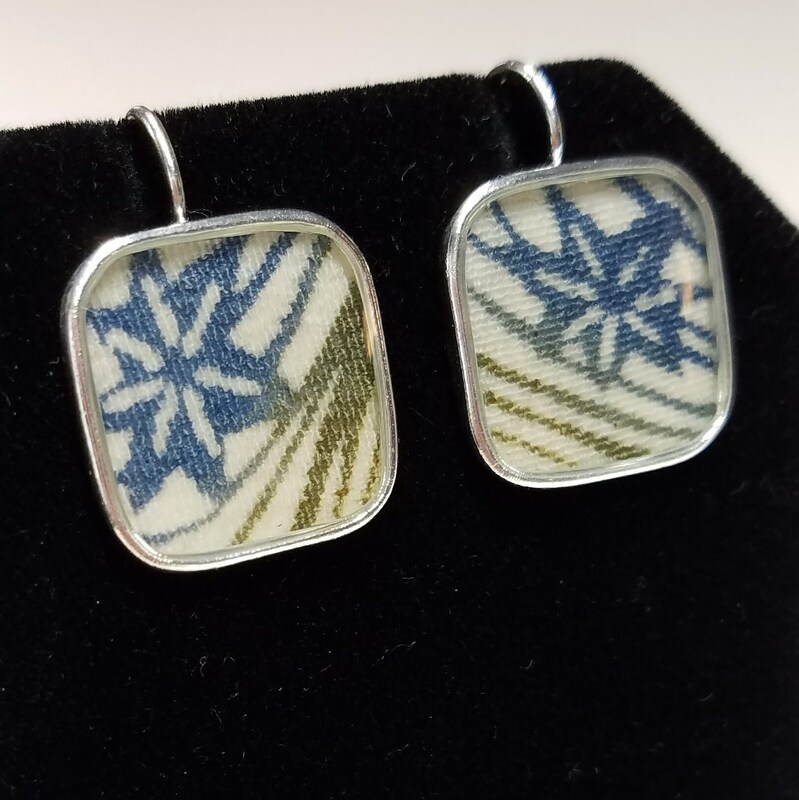 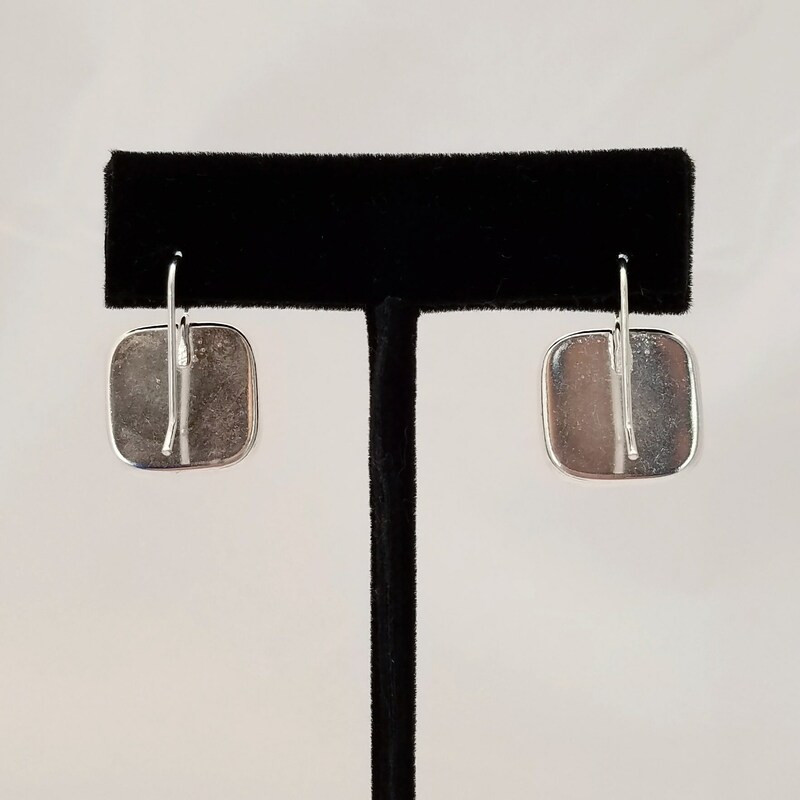 These earrings were created using a vintage kimono fabric. 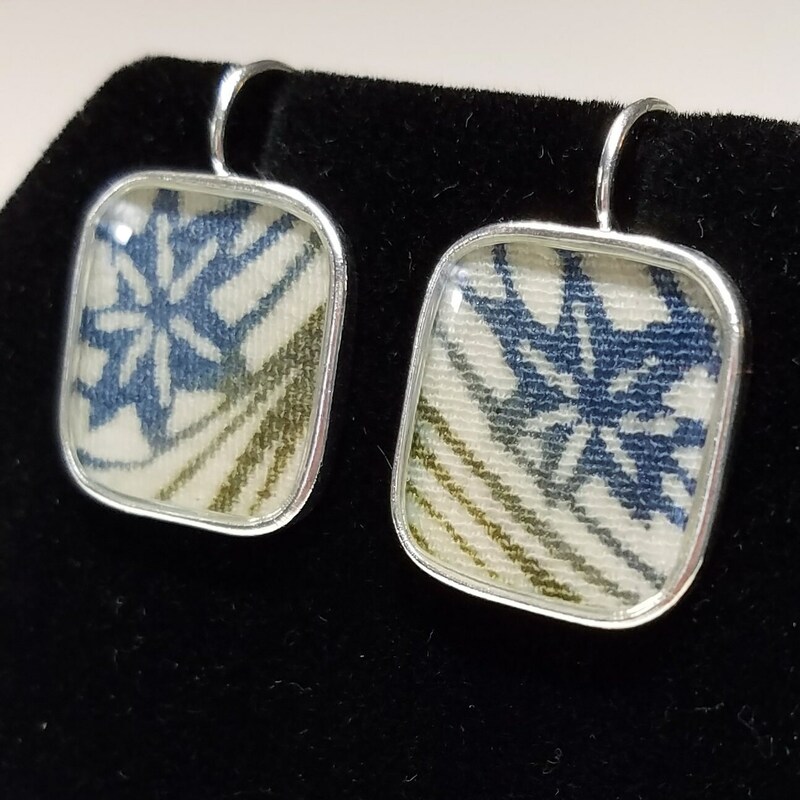 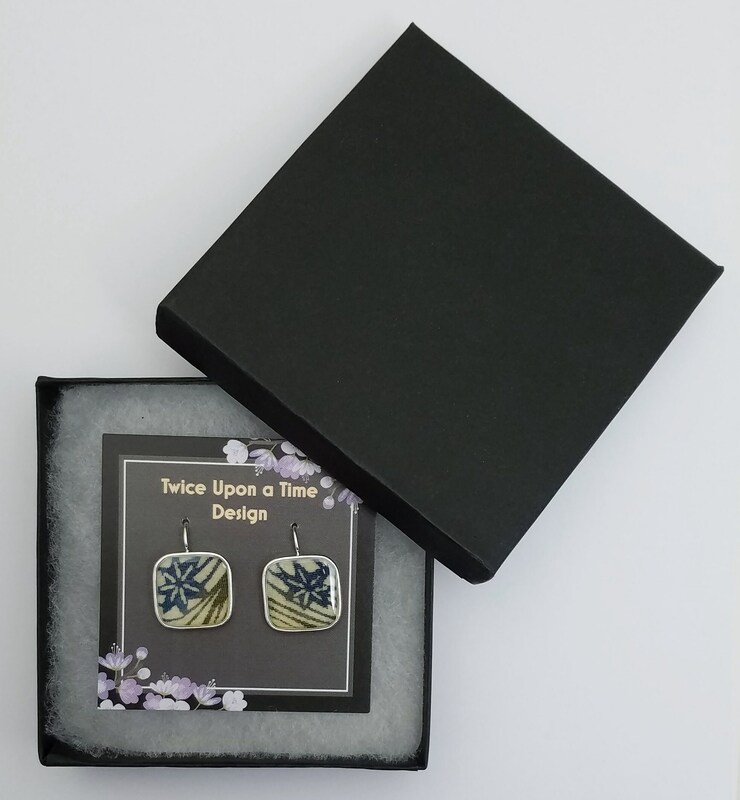 The off white colored silk, which features moss green hued lines and medium blue hued maple leaves, was placed inside an earring bezel and carefully coated with epoxy resin. 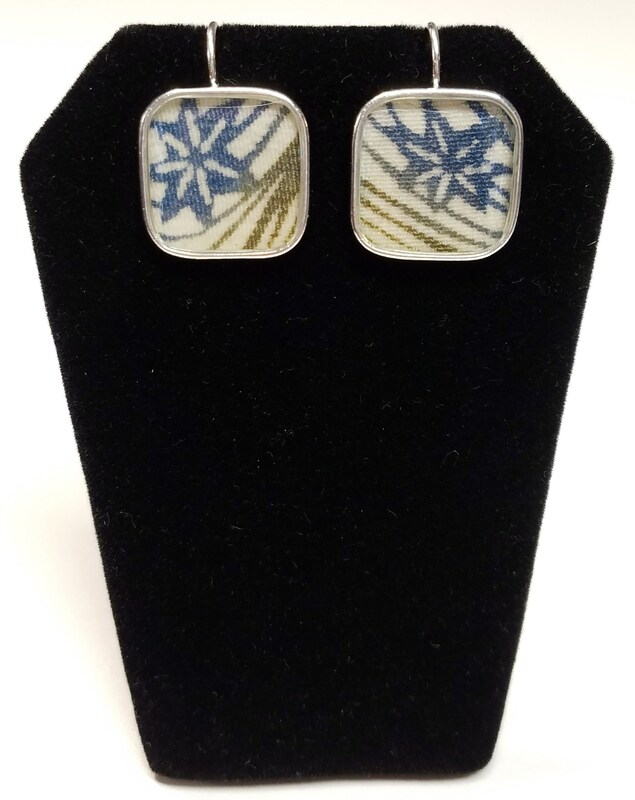 The epoxy resin will preserve the beautiful fabric and keep it from being exposed to moisture. 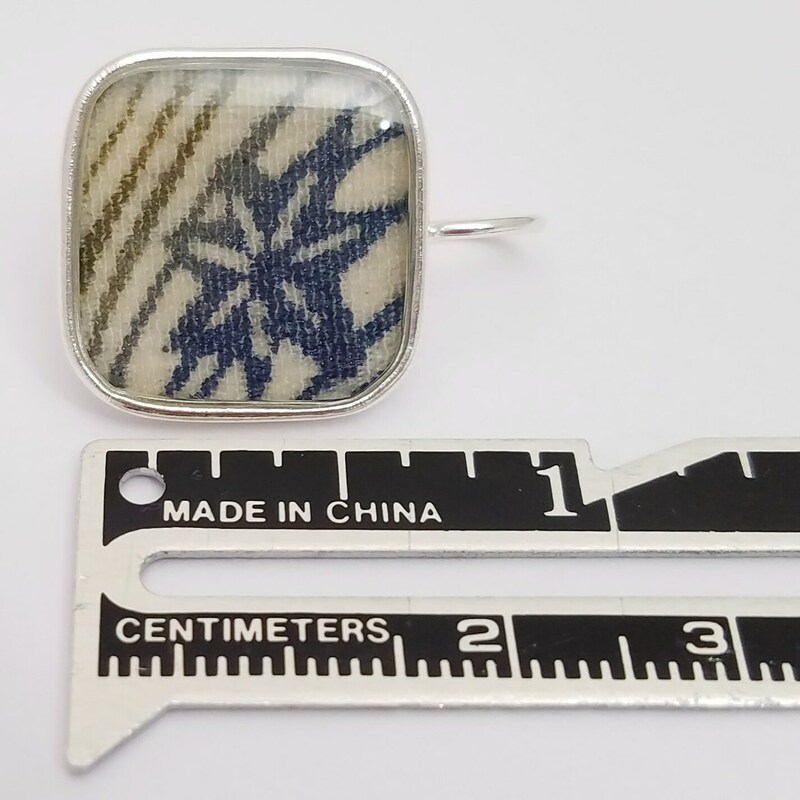 bezel has a 18.2 mm outer width and an 15.7 mm inner width.